With any luck, the "tenement" look shouldn't last too long. 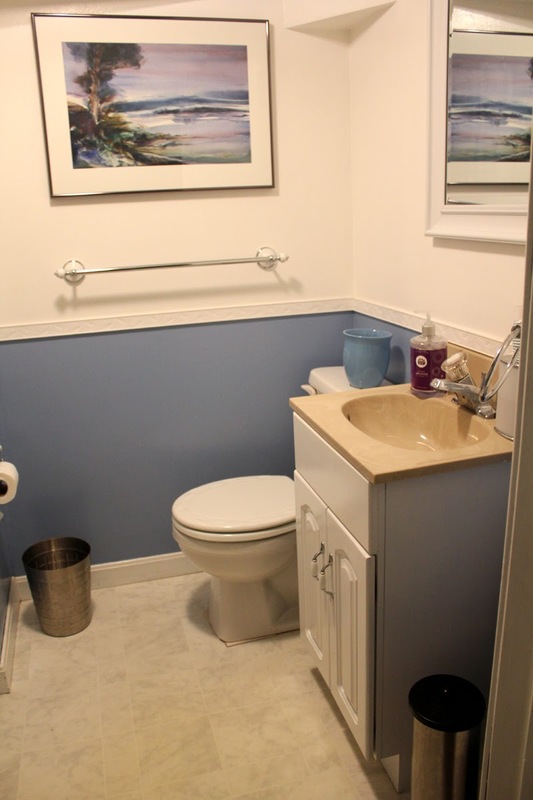 After another coat or two of primer, I'll be painting the room the same color as the upstairs full bath and rehanging the hardware and artwork. 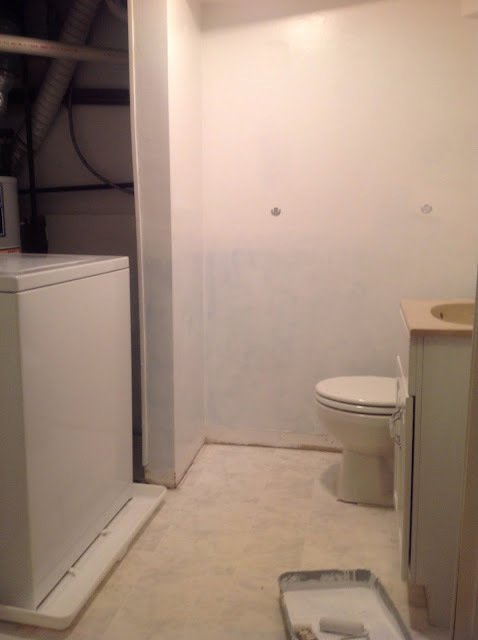 After that, we'll be tiling the floor and replacing the sink and toilet. The hardest part so far is finding an 18 inch wide vanity that doesn't look really cheap: we may have to build or convert a piece of furniture to fit. The washer and dryer still work well, so we're keeping them for now. 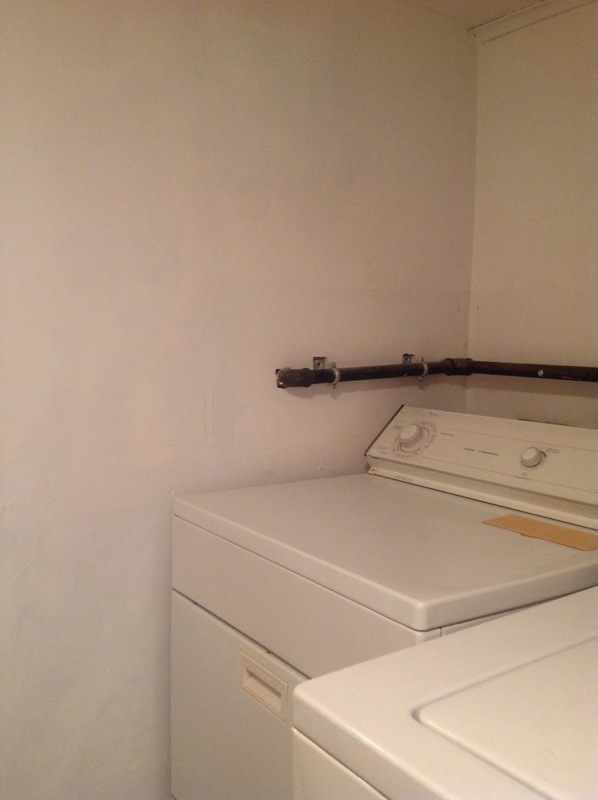 Once they wear out, we'll add a stacking washer/dryer and configure some cabinet space around it. 3/17/15 UPDATE: We purchased some tile and are looking at using a bar sink, so we can go even smaller with the vanity. Unfortunately, the painting's behind schedule as I haven't been able to do the other two coats of primer yet.